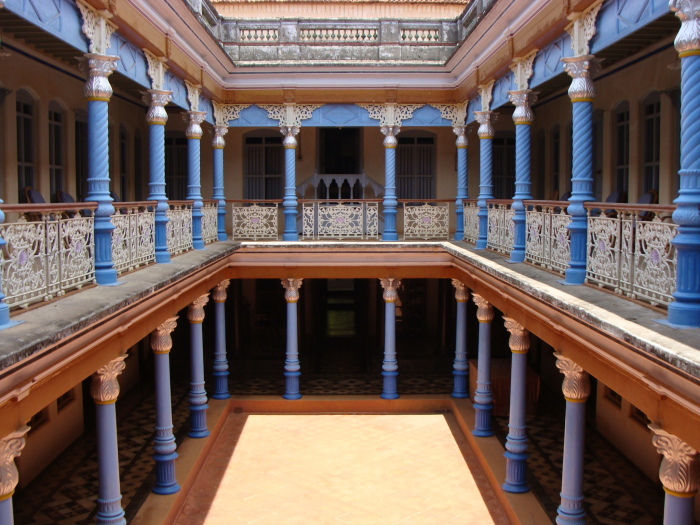 Chettinad’s unique meat-heavy cuisine has inspired kitchens across the globe. ANURAG MALLICK and PRIYA GANAPATHY discover its iconic dishes, street food and heritage hotels. 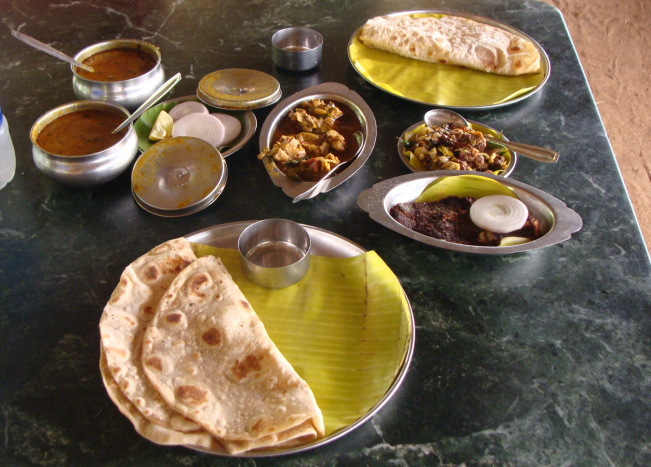 Chettinad cuisine perfectly illustrates how geography and climate influence the palate of a region and community. What else can explain the predominance of non-vegetarian dishes in South India’s Tamil heartland, otherwise synonymous with vegetarian fare? The history of their distinct food dates back to ancient times. 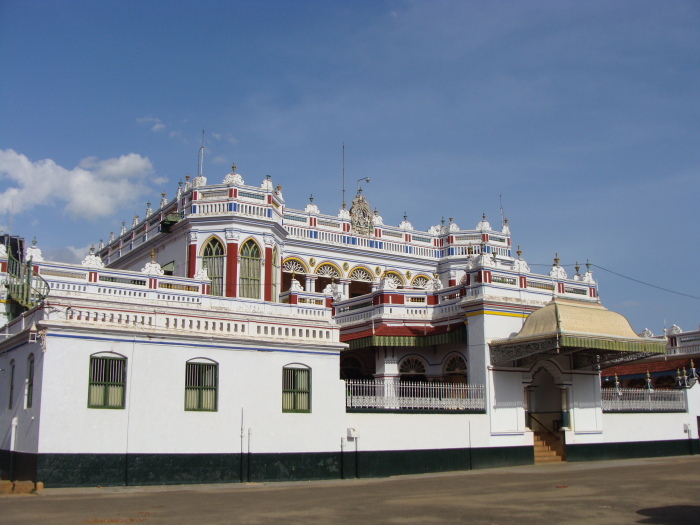 For centuries, the Nagarathars or Chettiars, a community of traders and ship chandlers of the Chola kings lived at Poompuhar on the Coromandel Coast. 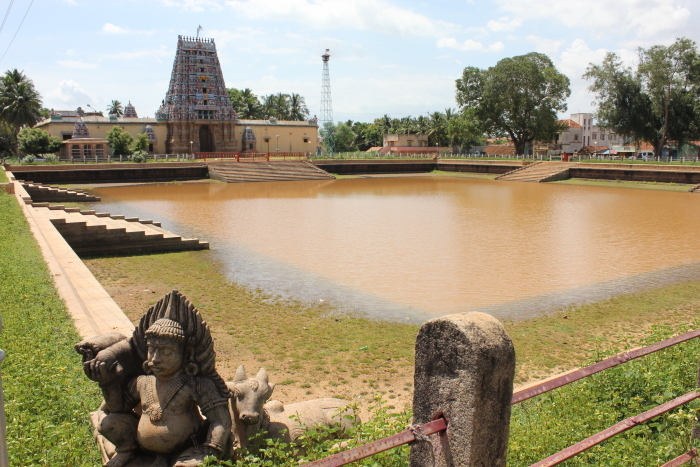 Legend recounts how a great flood in the 8th century prompted a mass exodus of Chettiars to an arid inland region. 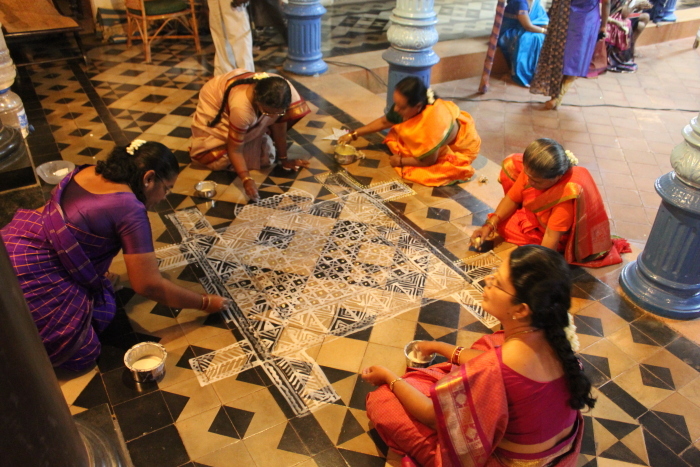 Resettled around Karaikudi, they strove to re-establish their fortunes from scratch. 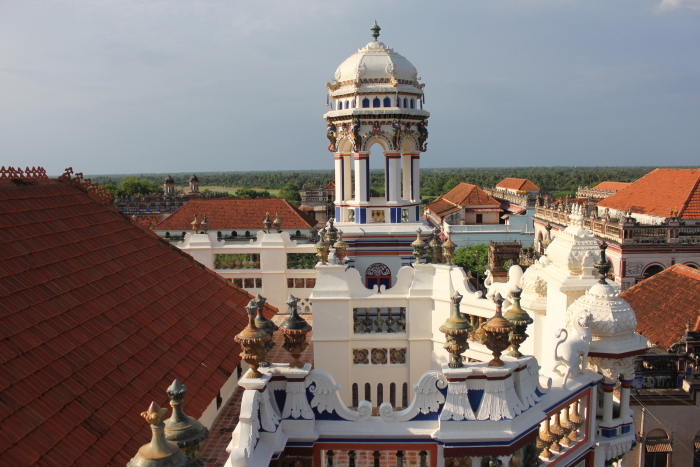 Trading for the kings of Pudukkottai and Sivaganga led to closer ties with the British and overseas expansion of their business to Ceylon, Mauritius, Africa and the Far East. All the twists in history reflect in their culinary tradition. 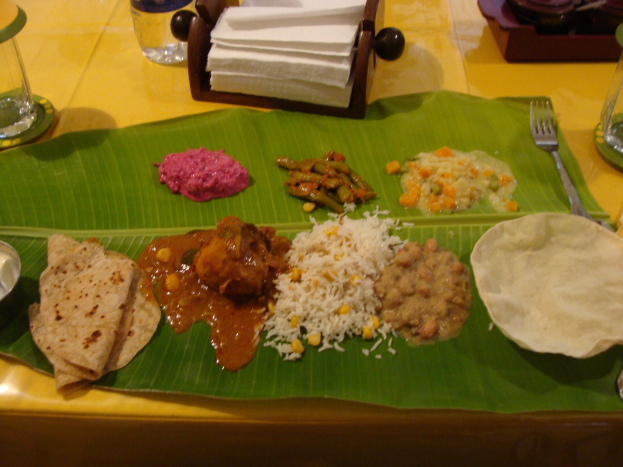 Signature Chettinad dishes like nandu (crab) masala, sura puttu (shark fin curry), eral (prawn) masala, meen kuzhambu (fish gravy) and vaalai yaley meen (fish wrapped in banana leaf), allude to prior proximity to the sea. Life in the hot, dry hinterland with little water and vegetation, forced them to include wild game like jungle fowl, kada (quail), muyal (rabbit), pura (pigeon) and pitta (turkey). They also evolved new cooking methods and preservation techniques like sun-dried meats, berries, salted vegetables and pickles. Global travel further enriched their repertoire with foreign ingredients, spices and dishes. Idiappam (string hoppers) is a Ceylon touch; kavuni arisi (black sticky rice pudding) came from Burma while rhubarb cheesecake, is a colonial inspiration. Authentic taste is attributed to enduring kitchen practices – masalas hand-pounded in stone grinders, vegetables cut with aruamanai (iron blade) and use of particular firewood for specific dishes. The set-samayalkar (team of cooks) who learnt the ropes at wedding feasts under the guidance of aachis (elderly women) went out to set up their own little eateries. With Chicken Chettinad as an omnipresent mascot in menus and restaurants like Karaikudi and Anjappar, Chettinad cuisine has become a gourmet experience. 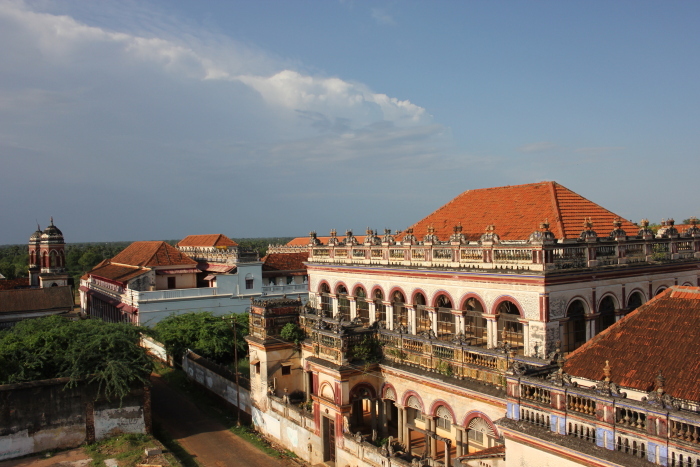 A good place to start is the nodal town of Karaikudi. 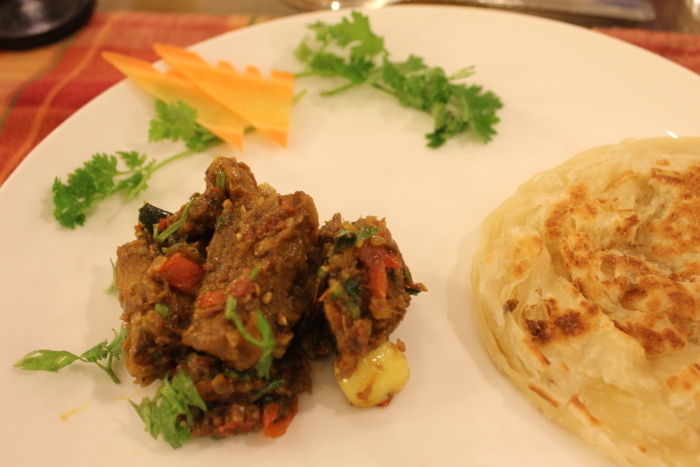 Local eateries dish out no-frills non-veg meals and side orders like kada fry and mutton chukka at affordable prices. Thatched garden restaurants with mud floors like ARC and Friends off 100 Ft Road are very popular. 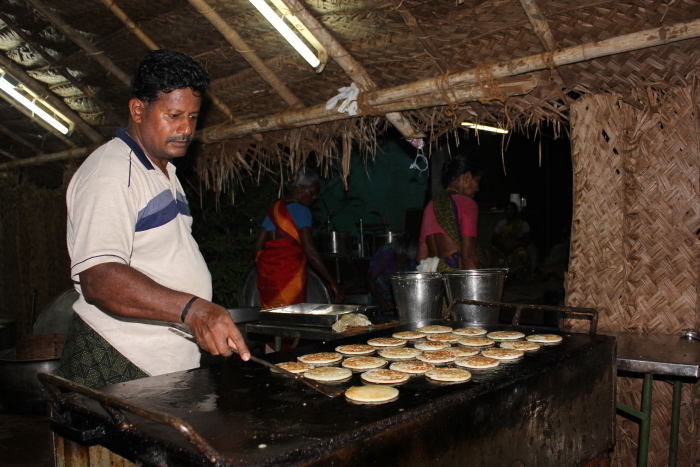 Nearby, Saffron Restaurant at Hotel Subhalakshmi Palace serves good veg fare – appam, dosa, idlis and paniyaram. British Bakery opposite Periyar Statue Bus Stop serves Jigar Thanda – a delightful concoction of reduced milk, nannari sherbet (sarsaparilla extract), kalpasi (China grass), sago, Boost (malt-based chocolate drink) and ice cream to beat the heat. A throwback to colonial tastes, the town’s bakeries sell biscuits, buns, macaroons, rusks, cakes and salted snacks. 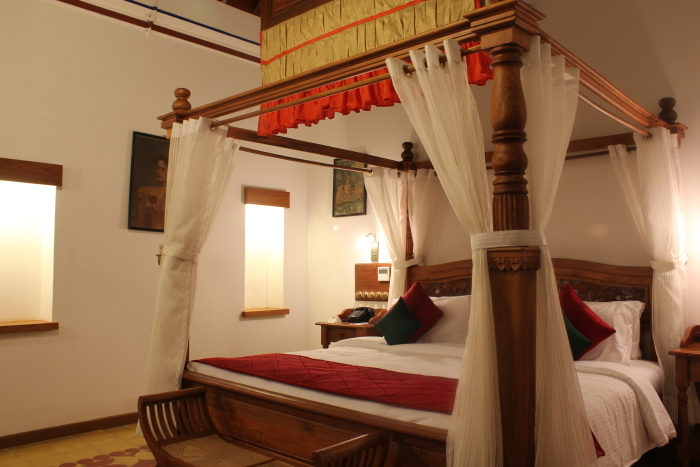 Chettinad’s palatial mansions renovated into heritage hotels offer a classier ambience. Call in advance to book an elaborate Chettinad meal served on banana leaf (Rs.700) at The Bangala, a 1910 colonial family home. The host Mrs. Meyyappan, co-author of the tome ‘The Chettiar Heritage’, serves Chettinad meals besides organizing cooking demos and kitchen tours. 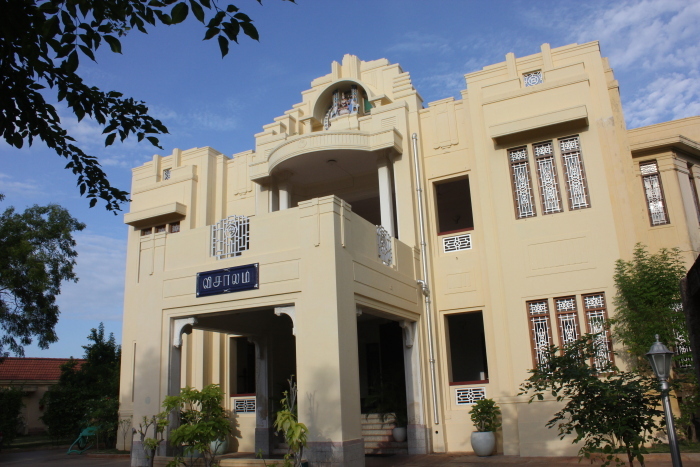 At the heritage town of Kanadukathan, 14km from Karaikudi, enjoy a meal at Chettinadu Mansion, run by the genial Mr Chandramouli. 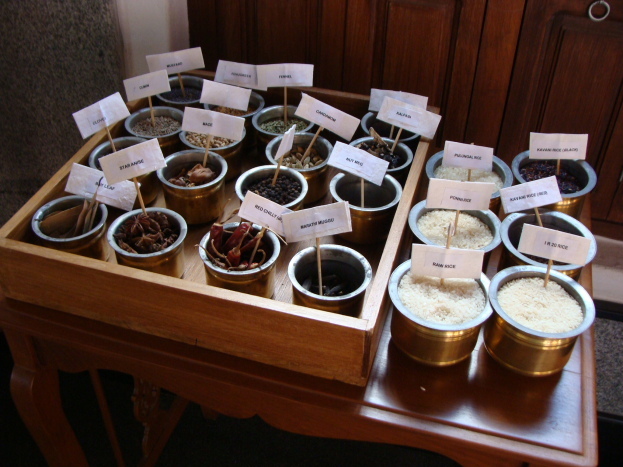 With a different setting for each meal, CGH Earth’s Art Deco hotel Visalam has an interactive kitchen with brass vessels and neatly labeled containers of exotic spices like marathi mokku (dried flower pods), anasipoo (star aniseed) and kalpasi (lichen). 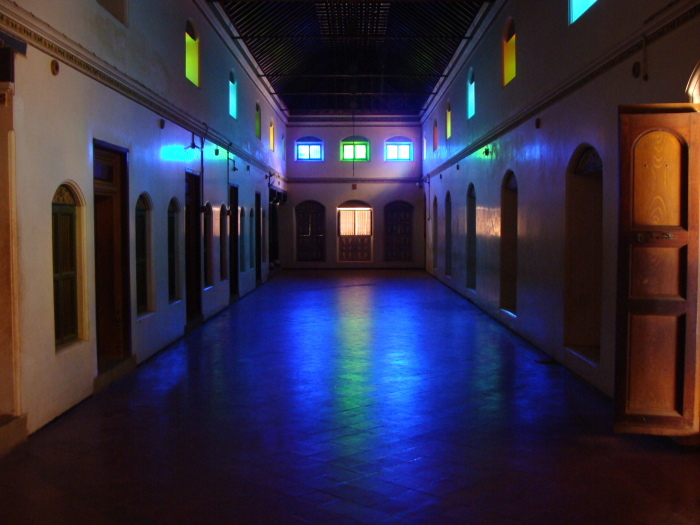 The luxurious Chidambara Vilas near Tirumayam Fort serves lavish meals in the old Bommakottai (Hall of Dolls) now converted into a restaurant with ornate chandeliers. 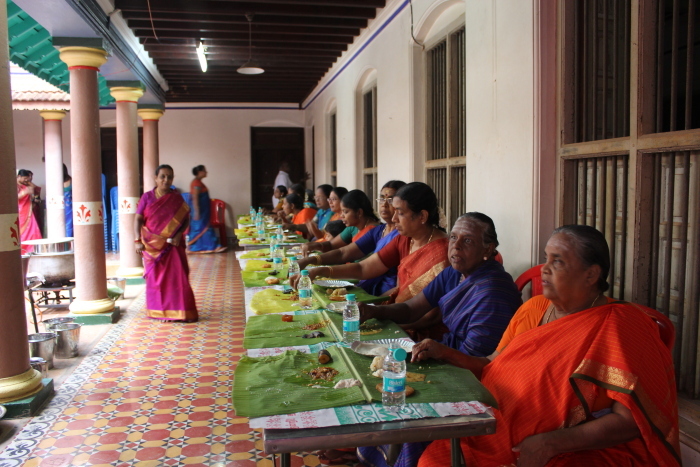 Traditional meals on banana leaf follow a certain protocol. The narrow part of the leaf points left and every dish has a designated space and order to be served. Items start from the top left – salt, pickle, mor milagai (chili dipped in yoghurt and fried), varuval (dry dish), kootu (lentil curry), urundai (fried lentil balls), poriyal (side dish) and masiyal (mash). 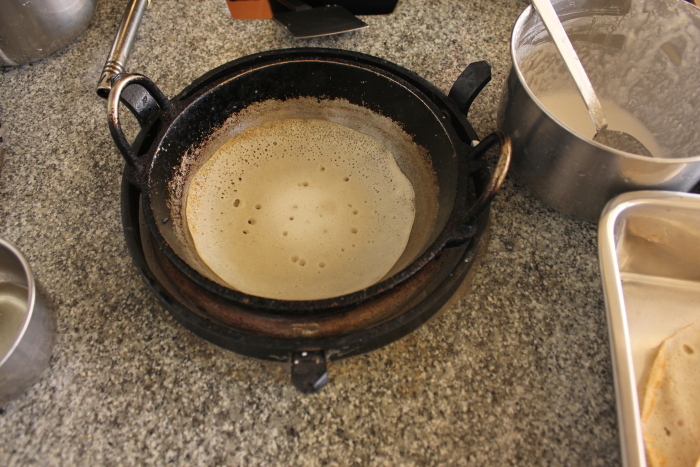 Appalams (poppadams) and fries are placed at the bottom left while chapatti and rice occupy the centre. White rice is paired with sambar and rasam, lemon rice or pulav with kuzhambu (gravy) followed by curd rice. The bottom right is reserved for sweets like halwa and payasam. 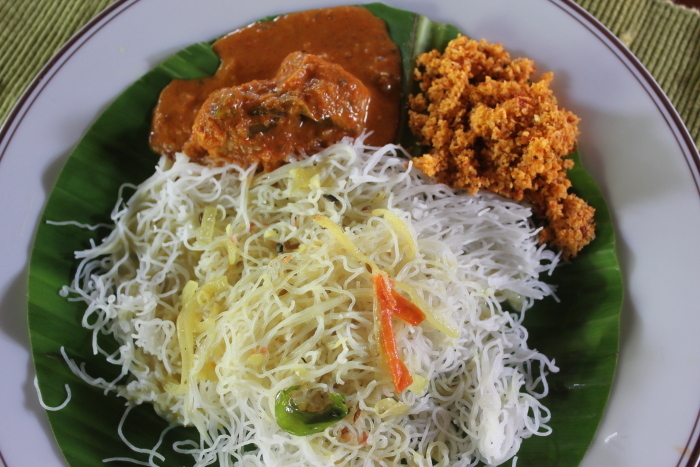 Heritage homes offer local specialties not easily available in restaurants – paruppu urundai kuzhambu (lentil balls in tangy gravy), vazhaipoo meen kuzhambu (banana flower gravy) and kozha kattai (steamed rice dumplings) that has a sweet version with sesame and jaggery or kara (spicy) with lentil, coriander and grated coconut. But more than the meal, it is the host’s upachaaram (gracious enquiry) that is the hallmark of Chettiar hospitality. 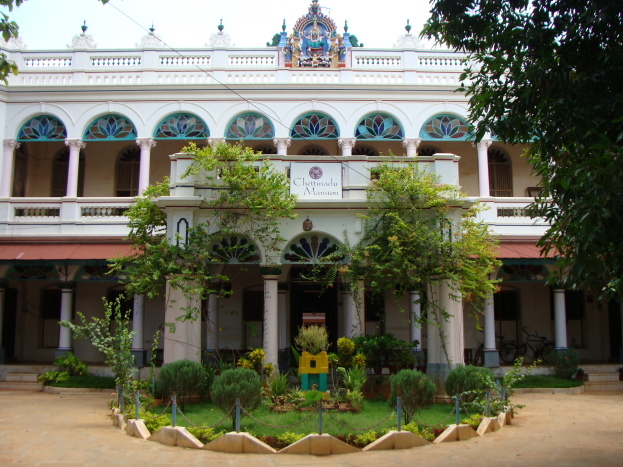 Hotel Subhalakshmi Palace, 1 Church, 1st Street, Sekkalai Road, Karaikudi. Authors: Anurag Mallick & Priya Ganapathy. This article was featured in a Singapore magazine.